In 2006, the IBM Corporation uprooted the main offices for its global procurement services. It transferred them from Somers, N.Y., 20 miles north of corporate headquarters at Armonk, to Shenzhen in south China’s Pearl River Delta, just across from Hong Kong. It was a notable moment: the first time one of IBM’s most critical departments had moved its center from the United States. And it marked a significant milestone along the road toward making IBM a “globally integrated enterprise” running “truly global systems of production,” as its CEO, Sam Palmisano, had written in Foreign Affairs the same year. 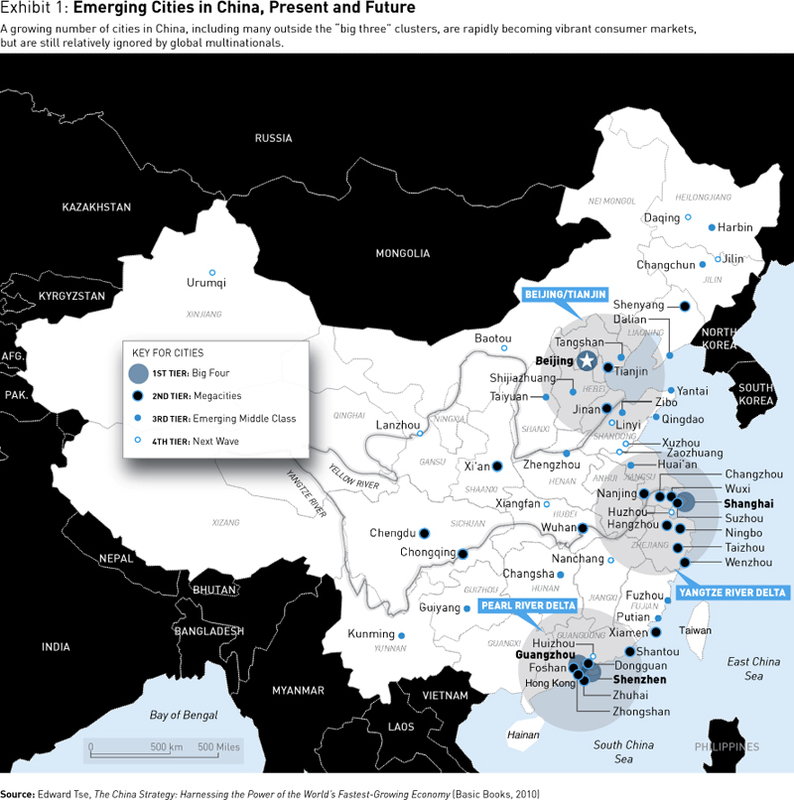 IBM’s executives knew, from many years of firsthand experience, that this region in southern China had become home to one of the biggest pools of procurement talent in the world. The company had arrived in 1993, manufacturing personal computers — a business it eventually sold in 2005, to Lenovo, a Chinese company. Over the years IBM had produced servers, retail store systems, storage devices, and printers in Shenzhen: first for overseas markets, and later, increasingly for the Chinese market. It had seen massive supply networks develop in the Pearl River Delta. Some suppliers made parts for toys, sports shoes, and other low-end products; others made components for sophisticated computing and telecommunications equipment. Still others provided logistics and supporting technology. IBM had also seen the Chinese government invest in business-friendly infrastructure: economic zones, industrial parks, highways and container ports, universities and training colleges. By locating its global procurement headquarters in Shenzhen, IBM was not only strengthening its own supply base, but better positioning one of its core businesses: helping clients strengthen their supply chains. The company has also invested in R&D in China. Its China Research Laboratory, one of eight flagship IBM labs around the world, is located in Zhongguancun Software Park, next to Beijing’s main university district. Most of its more than 150 researchers hold doctorates or master’s degrees from Beijing, Tsinghua, or other leading Chinese universities. The lab specializes in speech and language technologies, cross-border e-business solutions, and pervasive computing, which is the embedding of microprocessors in everyday objects. IBM opened another lab in Shanghai in 2008. In consulting, despite the global economic slowdown, IBM has been on a growth trajectory, doubling its business in 2009 because of Chinese demand. It plans to open four new offices in China, taking its total presence from six to 10. Moreover, IBM runs all its global growth businesses from Shanghai. This includes its businesses in Asia, Latin America, Russia, eastern Europe, the Middle East, and Africa. In short, IBM’s presence in China is very different from what might have been envisioned a few years ago. It is defined not by an expanding consumer population or by low-wage labor, but by the integration of Chinese activity with its worldwide enterprise. Like a growing number of other companies — Coca-Cola, Honeywell, KFC, and Goodyear among the most prominent — IBM has a “one world”–oriented strategy for its operations in China. In addition to sourcing products in China and seeking out Chinese markets, it is investing dramatically in operations there and integrating them with the rest of IBM’s global enterprise. The benefits of a one-world strategy in China have become obvious, and a growing number of multinational companies — or “foreign” companies, as the Chinese think of them — are ready to increase their presence. They may already market to some Chinese consumers, or draw from the country’s labor pool, or outsource manufacturing there, but now they want more. China’s rapid recovery from the global recession, bolstered by its reorganized banking sector and its emerging middle class, has attracted many companies to the Chinese economy. As Financial Times columnist Martin Wolf wrote on September 13, 2009, the West’s “reputation for financial and economic competence is in tatters, while that of China has soared.” Moreover, profitability is rising for global companies in China. A 2009 study by the American Chamber of Commerce in Beijing noted that in 1999, only 13 percent of companies reported margins in China that were higher than their worldwide averages; in mid-2008 (before the onset of the global financial crisis), this figure reached 50 percent. Moreover, a large number of multinational executives feel that they have gained enough experience in China to expect a relatively coherent, expanding future for their Chinese operations. But the challenge of doing business in China has increased during the past few years. Most businesses, even many that are currently successful, will find themselves inadequately prepared for the turmoil and dynamism to come. Not only could they miss out on the opportunities in this economy; they could be pushed aside by rivals, old and new, that use China to transform their competitive positions. In 2005, I wrote in this magazine that in the world’s fastest-growing economy, the experience of the last 10 years will not be the best guide to the next 10 years. This statement has even more truth, and even greater urgency, in 2010. Business leaders around the world who want to be successful will need to take on a challenge with four components: the growing complexity of the Chinese market, the new sophistication of Chinese competitors, the evolving interests of the Chinese government, and their own entrenched assumptions about global business. Only 30 years after it began to open and liberalize its economy, China offers its consumers an extraordinary range of brands and products that no other country, even the wealthy consumer markets of Japan, Europe, and the United States, can match. In any convenience store in Shanghai or Dalian, you can find Western beverages such as Coke, Pepsi, and Schweppes; Japanese soft drinks made by Suntory, Kirin, and Sapporo; Taiwanese flavors under the Uni-President label; Hong Kong brands such as Vitasoy; and local teas, coffees, soy milks, and fruit drinks. Chinese companies make their own versions of every international flavor, and many flavors that are not produced elsewhere. Outside, on the newsstands, are Chinese magazines and Chinese editions of such familiar global titles as Cosmopolitan, Vogue, and Elle. Driving on the streets are locally manufactured vehicles from almost every global carmaker — General Motors and Ford, Toyota and Honda, Volkswagen and its subsidiary Audi, BMW and Mercedes, Citroën and Hyundai — plus a host of local auto brands, including Chery, Geely, Brilliance, and Great Wall Motor. Step inside a department store and you will see a similar proliferation of labels and choices. For most of the local patrons in cities such as Shenyang, Wuhan, and Changsha, this is a remarkable change from the sparsely stocked, dour shops that they patronized just a decade ago. The shift in population from predominantly rural to predominantly urban is having an impact on almost every aspect of Chinese life. Millions of people are being lifted from poverty, probably far more in the next few years than in the past few decades. Since the start of the 1990s, annual retail sales in China have increased more than 15-fold, from around US$100 billion to more than $1.6 trillion by the end of 2008. (The 2008 figure is about one-third of the retail sales in the United States during the same year.) The Chinese middle class, although new, will not be a short-lived phenomenon; it is here to stay. At first glance, for global consumer-oriented companies, this situation would seem to be the realization of a dream. For years, they have looked forward to the rise of the mythical “land of 1 billion–plus consumers” — eager for new products, ready to be sold to. A company with a product or service well targeted for a market category or consumer segment — perhaps a packaged good aimed at newly urbanized, frugal, demanding consumers — can expect to find hundreds of thousands of potential customers in China. This consumer market represents the largest “niche play” opportunity in the history of world commerce. Yet this market is far more complex than many outsiders realize. The expansion of Chinese markets is accompanied by phenomenal competition, as well as abrupt rises and falls in market share for both new and established products. Most importantly, although China’s markets are open to global products, they are also extraordinarily local, rooted in traditional customs and tastes, with extreme variations from one region to the next. The differences within regions are also enormous. Even in the wealthiest provinces, such as the coastal parts of Guangdong or Zhejiang, you need travel only a short distance inland and incomes fall abruptly. The gap between rural and urban residents splits the nation; the divide between permanent residents and migrant workers splits many cities. And although the middle class is large, it is also unpredictable. The rapid pace of economic growth in China has disrupted traditional patterns of consumer development that build commitment to a product over time. People who were living in frugal, company-assigned, company-owned apartments a decade ago now have their own homes, an array of possessions, and possibly a car. With little or no history of consumption, these consumers tend to be difficult for marketers to reach: They are fickle and demanding, often shopping on price alone. Brand loyalty is a new notion to them. At the same time, a rapidly growing group of people at the high end are very brand conscious and interested in showing off their wealth as they acquire known products. With markets and tastes continuing to change, it is difficult to predict what kind of path China’s consumers will follow. They cannot be taken for granted. One company that understands the complexity of Chinese consumer markets is KFC, the most successful restaurant chain, foreign or domestic, in the country. Since arriving in China in 1987, this American fried chicken specialist has set up more than 2,900 restaurants in 450 cities, with about 300 outlets opening every year. KFC spent nearly a decade figuring out its business model for China, even though it was led by a group of executives who knew the country well. Many of them, including the head of China operations, Sam Su, had been raised in Taiwan. Su’s team began by looking at the whole range of the company’s operations, from its menu offerings to its supply chain. Their first conclusion: Food, not systems, was the most important thing to get right. They gradually extended the menu, experimenting with different items, often making them available for just a limited period. They invested in ovens so they could offer more than fried food, and began selling juices, salads, and congee, a Chinese rice porridge. Rather than rapidly bringing in menus and practices from elsewhere without carefully assessing their merit, they built the KFC business model slowly and fit their approach to China’s diverse conditions. As Chinese companies become more successful, they are becoming global competitors. Some of them, like Huawei — the world’s third-largest maker of mobile-infrastructure equipment and the fifth-largest telecommunications manufacturer overall — are having a dramatic impact on their industries. Huawei played a major role in forcing a global industry restructuring in which Siemens and Nokia merged their network infrastructure divisions and Alcatel acquired Lucent. In general, the 2008 global economic crisis enhanced the position of Chinese companies and their relationships with overseas enterprises, making them much stronger — and presenting a new sort of challenge to other global companies. The reasons for this robust recovery have to do with fundamentals. Besides fostering its emerging consumer base, China had rid itself of most of the structural rigidities inherited from socialism during the 2000s; its national productivity rose steadily through the decade. The government’s economic stimulus, which began to take effect early in 2009, was designed to reinforce these fundamentals and improve the prospects for Chinese businesses. The recession also forced the country’s overheated real estate and construction sectors to slow down, consolidate, and shed some of the extra capacity that had built up during the manic years of growth from the late 1990s to early 2008. The next five to 10 years will see the emergence of a new generation of Chinese companies, bigger but leaner, better able to compete, and prepared to operate on a global basis. For example, over the next five years, while American automakers are focused on their problems at home, some of China’s car companies will expand overseas. Similarly, while American and European banks are sorting out the consequences of a financial morass of their own making, some of China’s leading financial institutions will have growth strategies built on international expansion. Not every Chinese company will thrive, but many are in strong positions to take advantage of the recession. For instance, they will exploit major declines in corporate valuations in Europe and North America to buy companies headquartered on those continents. The new wave of Chinese entrepreneurship represents a change in business models — away from a dependence on rapid, low-cost production and copycat R&D, and toward effective long-term management — and it will take some time to develop. Chinese producers are still prone to the vicious circle of commoditization; its relentless focus on cost reduction heightens price competition, which leads to more cost reductions. And most Chinese companies are still relatively unskilled in the kinds of management methods and knowledge that a global company needs. But the stronger companies in China are making themselves leaner, with larger market shares and better positions on their industry value chains. They will increasingly make overseas acquisitions that enhance their technological assets, marketing reach, and managerial expertise. These companies will continue to pursue ways of producing goods more cheaply; that cost pressure will remain. But they will also figure out ways of producing and marketing goods more effectively by applying and reapplying the lessons they have learned. Witness the success of Haier, which sells specialized appliances like wine-cooling refrigerators in developed markets, and Fuyao Glass, a maker of glass for the automotive industry, which has made itself a supplier to many China-based car producers. Or consider the game-changing potential of the Chinese aircraft manufacturing sector. At first glance, this technologically complex, capital-intensive industry would seem like a big leap for a developing nation’s economy. But it is official government policy to develop large passenger aircraft and eventually compete with Boeing and Airbus. Given China’s record over the last couple of decades of establishing a presence in industries previously deemed too technologically advanced for developing countries, the aircraft initiative could well be successful. And it could happen within a few years — far less time than the two decades it took Airbus to launch its first commercial aircraft. Chinese manufacturers are entering this market in the same way they develop their presence in every other industry. First they make components; then they sell them at low prices to claim market share; then they expand through acquisitions. This gives them access to further know-how and expertise, allowing them to move up the value chain and build out the range of components they produce, eventually getting to a point where they can make entire products. In 2007, Airbus sourced $60 million worth of components from China; by 2015, it expects that value to have risen to $400 million. In the city of Tianjin, the company’s A320 aircraft are being assembled; the first one was completed in June 2009. A separate runway has been built at the city’s airport specifically to handle test flights for the aircraft. China’s aircraft manufacturers could have a natural advantage within the burgeoning Chinese airline industry, particularly if the market for air travel within China grows as anticipated. The industry is currently expected to need 3,000 passenger and freight aircraft in the years up to 2025, with an estimated value of just under $290 billion. Like automobile and telecommunications companies before them, aircraft makers will discover that they cannot avoid building production facilities in China because of the combination of lower costs and better access to China’s markets. The challenge for global companies facing this sort of emergent Chinese competition is to get the balance right: They must position themselves for maximum gain while minimizing risk and maintaining their own distinctive edge. This objective is best accomplished by tailoring products for the Chinese market — often with sophisticated support and services that other companies cannot match. To many observers, especially Westerners, China’s embrace of a market-based economy seems to have made the country capitalist in all but name. They assume that in a country with economic freedoms and a rapidly growing middle class, democracy and political freedom will inevitably follow. But thus far, that assumption has been wrong. Under every plausible scenario, China’s government will continue to be authoritarian for the foreseeable future. The Chinese Communist Party (CCP) may be less controlling than it was in the past, but its more than 70 million members continue to dominate every level of government and society — and they are deeply committed to remaining the country’s sole holders of political power. Moreover, they (and many of their country’s citizens) believe that China’s development, both socially and economically, can be achieved for now only under the auspices of the CCP. In the early 2000s, party leaders directed several research institutes to study examples from other nations, including the collapse of socialist rule in the Soviet Union and the continued success of Singapore’s People’s Action Party. They concluded that even China’s powerful rate of economic growth was not sufficient for stability. They would have to create, as party chief (and current president) Hu Jintao called it, a “harmonious society,” reducing inequalities that might lead to social unrest, maintaining openness to the rest of the world, embracing environmental responsibility, and spending more on education and health care. They would also maintain close control over the business sector, even while fostering more of the entrepreneurial activity that had produced so much success. But some industries are liberalizing further and faster than others. Consumer goods have had high ownership freedom and high product market freedom for years, because Beijing decided in the early 1990s that the consumer goods industry was not strategic. Telecommunications service companies, by contrast, have had little ownership freedom and little product market freedom. In the early to mid-1990s, many of the world’s leading telecom operators established some kind of presence in China. They all hoped to gain entry when telecom services were liberalized. Yet today, the industry remains entirely in the hands of state-owned companies, with their services strictly licensed, and it will almost certainly stay that way. Consequently, nearly all the foreign operators have packed their bags and left. Between those extremes, some industries have relatively liberal ownership regulations, but strict controls over what kinds of products and services can be offered. For example, since late 2006, a foreign institution in the banking sector has been able to own up to 20 percent of any Chinese bank, as long as the total stake held by foreign institutions in a Chinese bank does not exceed 25 percent. But credit cards can be offered only via a joint venture with a Chinese bank. And new products are often subject to long delays before approval; it would be very unlikely for a foreign bank to be permitted to introduce an investment innovation before its Chinese counterparts could. In other sectors, ownership freedom is relatively limited, but product freedom is high. No foreign company can own more than 50 percent of a Chinese motor vehicle maker, for example, but there are few constraints on what kinds of cars the foreign companies make or how they sell them. In the more-restricted industries — those that the government has deemed strategic — foreign companies have to deal with numerous regulations whose interpretation can vary according to official whim or sentiment. As a result, most or all companies operating within these spheres are state owned or controlled. In the less-restricted industries, multinational companies find themselves facing a proliferation of competitors, often from all corners of the world, quite likely with a surfeit of productive capacity and downward pressure on pricing. Anticipating the impact of potential changes is not easy. Some sectors, possibly including telecommunications and media, may even become more restricted for some periods. Acknowledging that such changes may happen is essential for a company if it is to be ready to move quickly when events shift in its favor. For some industries, this means maintaining an office in Beijing that can interact with the relevant ministry or other official body. This degree of readiness requires a strong grasp of official China’s strategic agenda, and it means having access to the best possible sources of information on government thinking. To meet the Chinese challenge, some multinational companies are rethinking the way they do business. The only companies that can take advantage of the massive opportunities are those that place their China activities in a global context as part of an integrated web of capabilities, including manufacturing, marketing and sales, innovation, new business model incubation, and talent development. And that is the fourth component of the challenge: Their own assumptions must change. For example, global companies will need to become more adept at integrating their Chinese operations into their global value chains. They will need to use their Chinese expansion to significantly improve their global scale and their leverage in sourcing, and to apply superior product designs and standards from elsewhere to the Chinese market. As IBM and Coca-Cola have done, they will need to integrate their upstream activities, such as R&D and product development, into their Chinese operations. And they will need to build marketing platforms that combine local consumer insights with global brands and platforms. This could involve moving some key elements of their global business into China, including core practices previously maintained at headquarters — just as IBM did with procurement. Nokia, Samsung, and Nike have also started down this path. China is Nokia’s leading production center, a major market for its phones, and a primary source of new technological developments. Samsung set aside $1 billion in Chinese investments in 2009 to develop more low- to mid-tier products and to give itself broader market coverage, and Nike built its biggest Asian logistics center in the eastern Chinese province of Jiangsu. A fully integrated enterprise might also tap into China’s research and development skills by establishing new innovation centers, or forming partnerships with Chinese firms or research institutes. So far, many of the new R&D facilities in China conduct little genuine research; their main focus is product localization and testing. But they help companies draw on the most advanced research being done in China, especially in industries the government is prioritizing, such as aerospace, agriculture, and communications technology. Multinational companies that want to succeed in China will also need to develop better knowledge of Chinese local markets and government priorities. Some of this knowledge can be bought directly from sector consultancies, or, better yet, developed through relationships with government officials. The National Bureau of Statistics of China, the government’s main agency responsible for collecting and collating economic and other data, has a long history of collaboration with organizations from overseas. Local Chinese companies can also be a rich source of market understanding in the regions where they operate. Most useful, however, is the knowledge acquired through experience, the kind that comes from building out an operation product by product, city by city, province by province. In many companies, these sorts of choices will be the subject of continued discussion between the company’s world headquarters and China operations. Indeed, a key element in executing global strategy will be the maintenance and management of communication between the two. Keeping headquarters informed of what’s happening in China can be a challenge, but when it is overlooked, headquarters executives often fail to understand developments in the country, and may find it difficult to react to possibilities and opportunities rapidly enough. A related error is to maintain Chinese operations without benefit of the corporation’s overall knowledge base; too few multinationals have brought the best practices of their global operations into the country. Without good communication, some companies may find their burgeoning business in China causing disruptions in parts of the enterprise that are thousands of miles away. Finally, the development of a China-conscious talent strategy, particularly for executives, is crucial. Some multinational companies have a relatively high turnover rate for executives in their Chinese operations. They bring in senior people from elsewhere, people who don’t understand the local context, on short-term, rotation-style assignments to “bring them up to speed” in China. This has left these companies with little institutional memory of their hard-learned experiences. Conversely, the multinationals that have performed well in China have tended to leave people in place in the country for years. They look for executives who combine facility in the Chinese language with a global perspective, who make a relatively long-term commitment to their position, and who develop an extremely valuable base of experience over time. The Chinese themselves have only just started digesting the implications of the changes they are going through. And most multinational companies still have a lot to learn about doing business in China. The transition to being a one-world company will feel unfamiliar and challenging for them, because this type of company is new on the world scene. And so is the Chinese context: its diverse markets and demographics, policies and regulations, cultures and tastes. Corporate leaders who see China as a large but still-emerging market must now regard it as a diverse and immense group of global consumers. Those who see Chinese companies as partners in joint ventures must come to see those companies as active, highly capable global competitors. And those who see the Chinese government as simultaneously welcoming and opaque must recognize it as an active, increasingly open player on the global stage. In other words, leaders of businesses around the world must see this country in the same way that the corporate leaders of the late 19th century saw the still-emerging United States — and change their strategies accordingly. Edward Tse is a senior partner with Booz & Company and the firm’s chairman for Greater China, based in Hong Kong and Shanghai. He has assisted several hundred companies — headquartered within and outside China — on all aspects of business related to China and its integration with the rest of the world. This article was adapted from Tse’s The China Strategy: Harnessing the Power of the World’s Fastest-Growing Economy (Basic Books, 2010). American Chamber of Commerce in Shanghai and Booz & Company, “China Manufacturing Competitiveness 2008–2009,” 2009: Research on the evolving capabilities and interests of manufacturers in China. Andrew Cainey, Suvojoy Sengupta, and Steven Veldhoen, “Capturing the Asian Opportunity,” s+b, Winter 2009: Why economic recovery in China, India, and elsewhere in the region could be the strongest source of sustained global growth for years to come. Patrick Chovanec, “The Nine Nations of China,” The Atlantic, November 2009: The further differentiation of China, its culture, and its prospects for development and change. Anil K. Gupta and Haiyan Wang, Getting China and India Right: Strategies for Leveraging the World’s Fastest-Growing Economies for Global Advantage (Jossey-Bass, 2009): How to go beyond simplistic, premium-based marketing in both global economies. Warren Liu, KFC in China: Secret Recipe for Success (Wiley, 2008): The in­side story of the success in China of KFC and its subsidiary Yum Brands. Sam Palmisano, “The Globally Integrated Enterprise,” Foreign Affairs, May/June 2006: The chairman and CEO of IBM explains how the corporation is evolving from “multinational” to “global” enterprise. Edward Tse, The China Strategy: Harnessing the Power of the World’s Fastest-Growing Economy (Basic Books, 2010): An overall, in-depth guide to the vision, versatility, and vigilance demonstrated by successful companies in China today. Edward Tse, “China’s Five Surprises,” s+b, Winter 2005: This article explained China’s entrepreneurial intensity, fearless experimentation, “brain gain,” transition away from patronage, and overseas ambition. Edward Tse, “Context and Complexity,” s+b, Autumn 2007: More examples of the flexible approach needed for China’s increasingly diverse market. Edward Tse, Kevin Ma, and Yu Huang, “Knockoffs Come of Age,” s+b, Autumn 2009: Illuminates how China’s shan zhai companies, once associated with pirated goods, have become competitive players, even in mature industries.